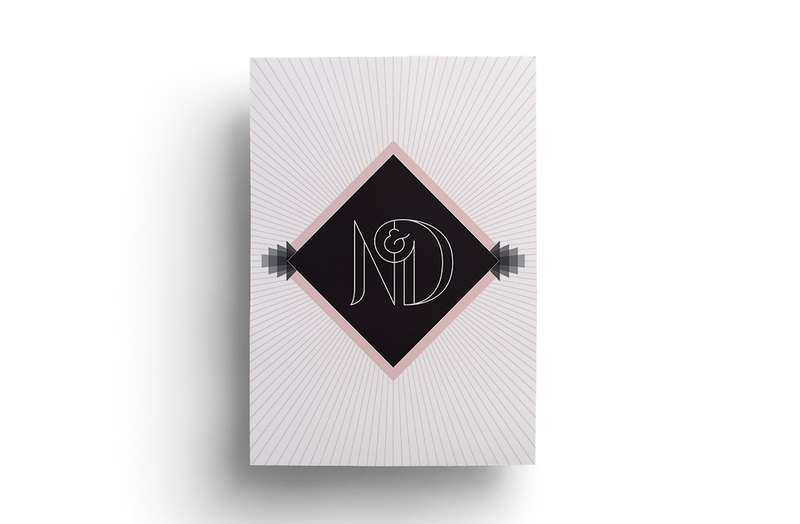 Design a wedding invitation with an Art Deco theme using the client's chosen colours, pink and black. I opted for an elegant monogram joining their first name initials set on a simple Art Deco diamond motif. 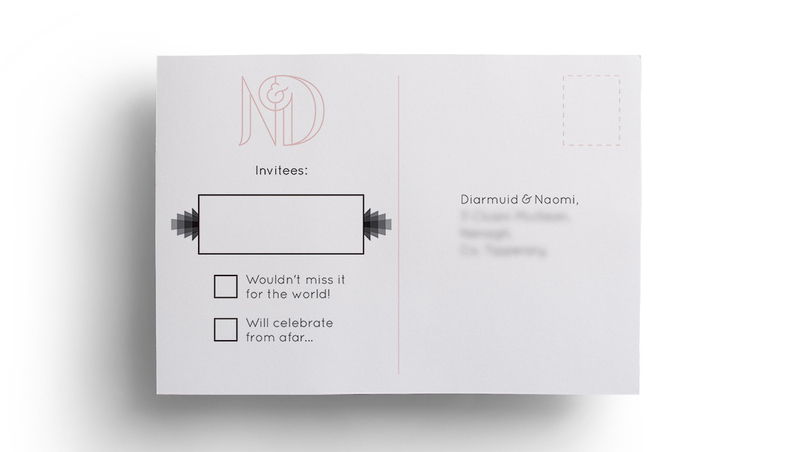 The invitations were printed on thick uncoated card to give a premium feel.